Testimonials & Reviews - Las Vegas, NV: Darren Wirtz, D.O. Dr. Darren Wirtz always appreciates feedback from his valued patients. To date, we’re thrilled to have collected 10 reviews with an average rating of 5 out of 5 stars. 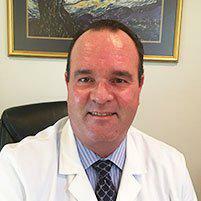 Please read what others are saying about Dr. Darren Wirtz below, and as always, we would love to collect your feedback. Dr. Wirtz sat and asked me questions, explained everything to me. Really showed he cared about me. I loved how he took his time and listened and how detailed he was about everything. The staff was very nice and professional as well. Went in as a new patient and let me just say BEST DOCTOR IN TOWN HANDS DOWN!!!! From the moment that I had walked in to the moment I had left all the staff had smiles on their faces and were so nice and friendly which made me fall in love with this place even more. I have gone to many other doctor offices as well but nothing and no one beats Dr. Wirtz. I have forever and always be coming here and recommend this place to everyone!!! Great! He listened and came up with MANY solutions for my “ailments “ lol . I’m very happy with my care and can’t wait to come back for more help! My first visit and I appreciated the staff and Dr. Wirtz who was very friendly and listened well with constructive suggestions. I am writing on behalf ood my mom, Denise. I live out of town (Texas) and speak with my dad on a regular basis. I am also a nurse and have watched my mom go through so much "nonsense" with providers in Las Vegas for almost 15 years. Dr. Wirtz had been the only provider that I actually have faith in that is actually truly interested in his the well-being of his patients. My mom is comfortable with him, he spends time with her and listens to her and addresses concerns regardless if he is super busy or has other things going on in the office. It is comforting knowing that she is getting the kind of care that I would provide to my patients if they were my family. The staff is equally caring and personable. Thank you Dr. Wirtz and staff for taking such good care of my mom. After many years of living in Las Vegas and many doctors, we have found a doctor and staff who really care about us and not just money. We have gone through all the major insurance companies with their HMO and PPO's. We have hit the jackpot with Dr. Wirtz (excuse the Vegas pun) They are always willing to set an appointment to fit your needs. And than the care you receive is fantastic. We suggest this office to anyone who needs a doctor they can trust. Thank you Dr. Wirtz and staff.